CU OK. Includes layered psd and merged png files. Click on the image to download. Thank you so much for this Freebie. I want to let you know that I posted a link to your blog in CBH Digital Scrapbooking Freebies, under the Page 3 post on Nov. 29, 2009. Thanks again. Just what I needed thank you so much for all the tags! Thank you! I will use it for a logo. 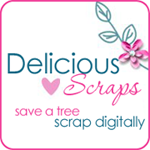 I have recommended your site to my scrapbooking friends. Love your site.